by Bob Holley — This special issue has authors, publishers, vendors, and librarians recount their experiences with fiction and non-fiction self-publishing. by Walt Crawford — Walt says if you’re good at marketing and publicity, self-publishing may be for you. by John D. Riley — John shares his experiences as a self-published author of five books and offers some advice. by Donald Beagle — Don’s move to self-publishing was driven by new opportunities not old frustrations. by Julia Glassman — Julia talks about self-publishing through your own press. by Rory Litwin — As a librarian and publisher, Rory feels that publishers will continue to perform functions that contribute to society. by Bob Nardini and Janice Schnell — Author services and library vendors need to work together to develop a parallel set of connections to identify useful self-published work. by Matt Pacer — Matt feels that libraries will be left behind if we don’t find a way to discover and collect these materials. by Joseph D. Grobelny — Joseph points out that libraries will most likely successfully adapt to the changed publishing environment. Bad Metaphors and Good: Why Weeding the Collection isn’t Really Weeding at All by Steve McKinzie — Steve says the discarding of older, less relevant materials is actually “thinning” and perhaps “weeding” is the wrong metaphor for this practice. To China or not to China: International Branch Campus (IBC) Libraries by Tony Ferguson — Tony has been doing exploratory research on why universities would want to establish a branch campus in another country. Reviews of Reference Titles by Tom Gilson — Tom reviews Black Recording Artists, 1877-1926: An Annotated Discography, the Encyclopedia of the Mind, and more! Monographic Musings by Deb Vaughn — This month, read about a pair of books by ALA Editions that explore grant funding for libraries. To Exploit or Not to Exploit; That is the Question by Bruce Strauch— Righthaven vs. Hoehn. Copyright Column by Laura Gasaway — Does the first sale doctrine apply to digital works? Lolly tells us! Publishers and Consortia by Leila W.Salisbury — Leila points out that in this ever-evolving environment, it’s all about money and sustainability. 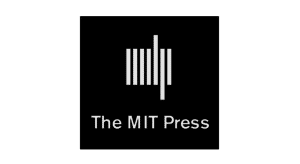 University Presses and STM Publishing by Alex Holzman — University presses don’t want to abandon old friends but they also want to go where the money is. Documentary Film by Winfred Fordham Metz — Interest in media resources to support academic instruction and research continues to expand at a rapid pace. Reports of Meetings — The third installment of reports from the 32nd Annual Charleston Conference can be found here. Confessions of a First-Time Self-Published Novelist (and A Word to Monograph Authors) by Myer Kutz — It’s always interesting to hear that publishers don’t have an “in” on getting published, especially with fiction! Gathering Data: How Two USMAI Libraries are Using eBook Statistics by Randall Lowe, Lynda Aldana, and Michelle Flinchbaugh — Can eBooks assist librarians in meeting the information-seeking needs of users regardless of where they are? by Donald T. Hawkins — In this issue Don reports on In Search of Answers: Unlocking New Value From Content: The 55th NFAIS Annual Conference and Information Discovery and the Future Role of Abstracting and Indexing Services: An NFAIS Workshop. by Bruce Strauch — What do gold and musicians have in common? Read about it here! An Interview with the SIPX Team by Greg Tananbaum — The current MOOC landscape. Now, Don’t Go Chasing Rabbits by Mark Y. Herring — Mark urges us to learn from studies like the Ithaka U.S. Faculty Survey to avoid a Waterloo of our own making. Collecting What You Read and Why by Thomas W. Leonhardt — The Reed College Book Collecting Contest and other things. Boston Strong by Donna Jacobs — While supporting friends in a marathon, Donna was intrigued by code breakers. Critical Cartography by Marcy Bidney — Books we need to keep in our collections. Indianapolis by Bob Nardini — Bob talks about Conference encounters of an ACRL kind. by Rita Ricketts — This among other things is about John Buchan pre thirty-nine steps and some of the publishing side of the Blackwell business. “What’s in a Name?” by Michael P. Pelikan — Michael says there are enough “names” to go around. At the Only Edge that Means Anything/How We Understand What We Do by Dennis Brunning — Dennis explores the Mendeley sale, DPLA, and saving the world. Let us know what you think of our puzzle and if you’d like to see more. ATG "I wonder" Wednesday: Do you think that electronic journals are cheaper than print journals?